The former VH-EBG as N707KS in May 1988. 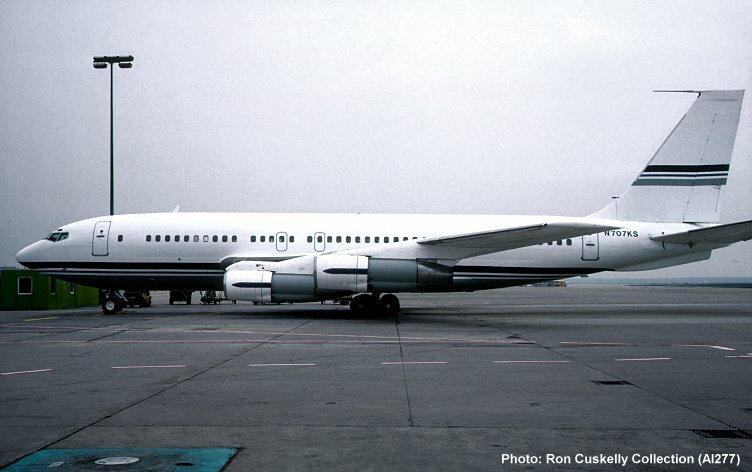 At this time, the aircraft was owned by Sheikh Salem bin Laden. In April 1992, the registration N707KS was allotted to a former Pan Am 707-321B (msn 20025 originally N886PA) and the former VH-EBG became N707SK.